After the enclosure of woodland which covered much of the previous stage of my walk this 59th stage of the Great British Walk and 4th stage of my Cotswold Way walk takes me back onto the high grounds and long ridges of the Cotswolds Edge escarpments. 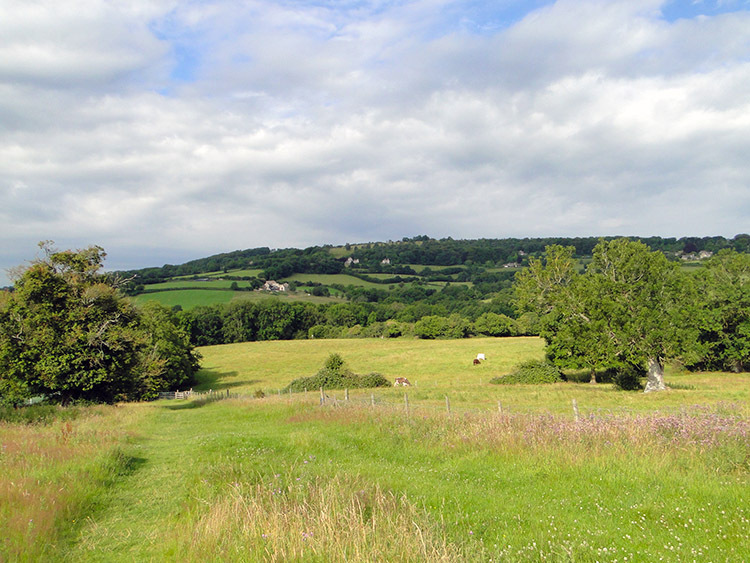 From Painswick I climb across farming country to Scottsquar Hill and then through upland woodland to Haresfield Hill. The long shadowland of Standish Wood follows before I cross the Frome valley west of Stroud. 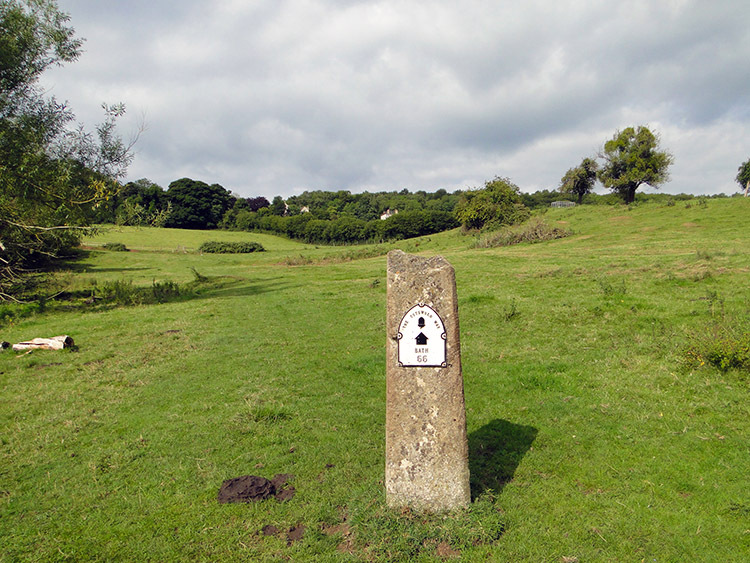 A climb through King's Stanley and Middleyard to Pen Hill follows the dip into the valley before I follow a long ridge of woodlands, heathlands and ancient sites to Uley Bury. 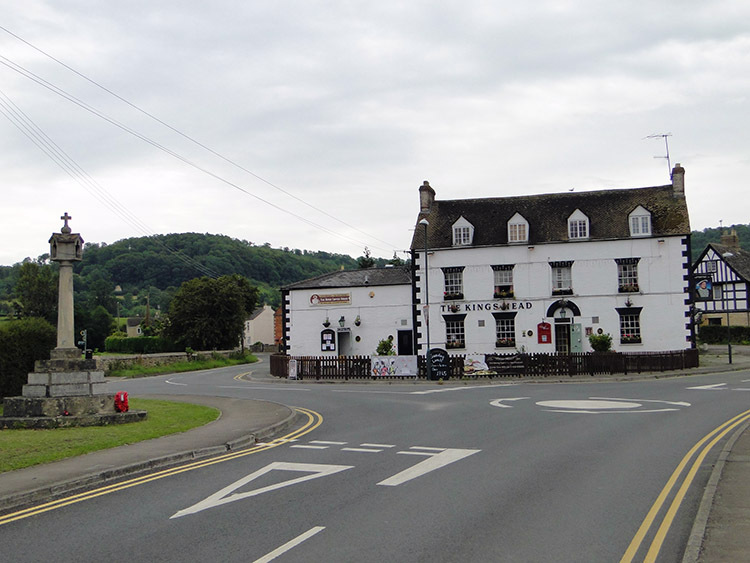 Then I descend the edge to cross more farming country to reach a couple of isolated yet fascinating hills which lead me to sight of the finish in Dursley. It is yet another epic day. After a good nights sleep at the Falcon Inn in Painswick I set off on my walk to Dursley in very good spirits. After my shorter than usual walk yesterday I had enjoyed an afternoon of rest, relaxation and a little time browsing in the shops as well as finding out a little about the history of Painswick in a visit to the town hall. 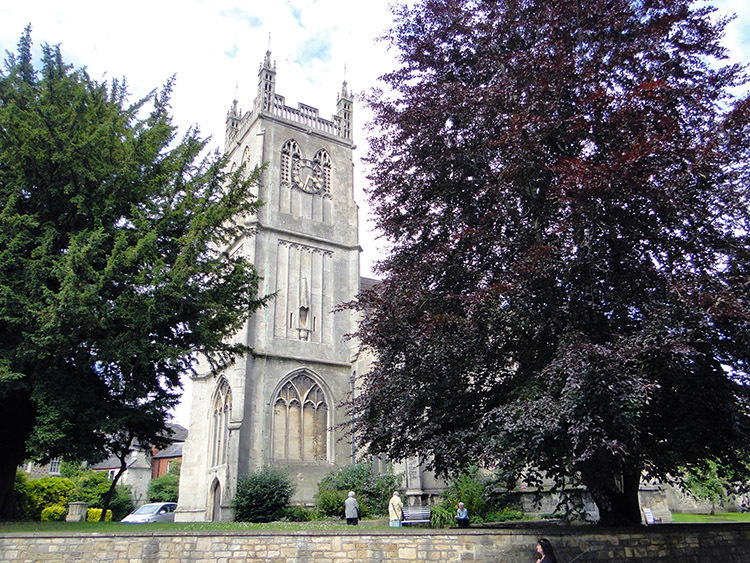 My investigations there led me to discover that Thomas Twining of the renowned tea company was a son of Painswick. With my new found knowledge I could now enjoy my cups of Twinings tea a little bit more! With my thirst for knowledge suitably satisfied my thirst for more walking was unquenched, urging me on my way and out of town. It was a lovely morning with plenty of blue sky and with sunshine showing more often than not as I walked from the town on a westbound course towards Washbrook Farm. I left the town by following Edge Road in the company of a gentleman who had just been out for his morning newspaper. I always find it nice to have such friendly chats with the locals when walking through a strange town. It put me in good stead for the rest of the day and I bid him farewell as he reached his house, one of the last on the road before town became countryside. My continuing walk to Washbrook Farm was downhill and I lost 60 metres of height before reaching the brook and then the farm. After Washbrook Farm I began the task of regaining the height I had lost since leaving Painswick and then claiming more besides on a continuous 160 metres ascent to Rudge Hill. 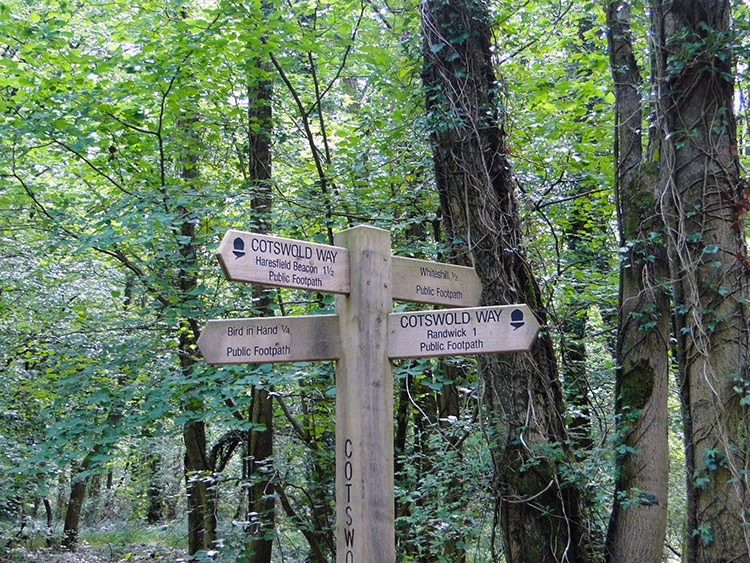 Part way along the climb I came to a milepost on the Cotswold Way. It told me I had a further 55 miles to walk to the finish of the National Trail in Bath. It also told me I had completed 47 miles of the way since leaving the starting point in Chipping Campden. Halfway on my ascent to Rudge Hill I came to the A4173 Stroud to Gloucester Road. 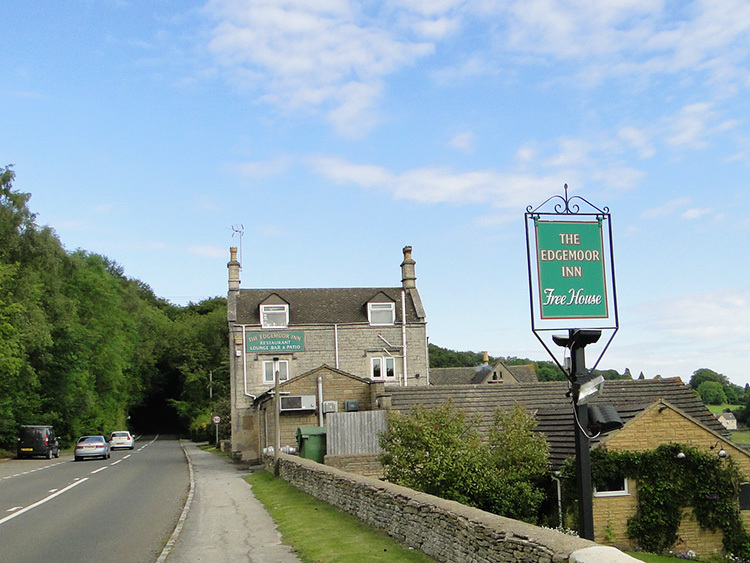 It was 9.35am as I crossed the road at a point near to the Edgemoor Inn. I used the keep looking and keep listening routine to cross the road. On crossing the road I soon reached a sign welcoming me to Rudge Hill National Nature Reserve. Formerly known as Sheepscombe Common and Edge Common the reserve is part of the Cotswold Commons and Beechwoods National Nature Reserve which I had walked yesterday through Rough Park and Pope's Wood. From the hill side I looked back to a wonderful view looking over the rooftops of Painswick. After soaking it in I turned to continue my walk across the reserve and through neighbouring Halliday's Wood which led me to the southern edge of Haresfield Hill. A sign welcomed me to Haresfield Beacon and Standish Woods. It said the area was one of barrows, dykes and bumps some of which were abandoned quarries and others being archaeological remains such as the Iron-age hill fort on Haresfield Beacon and the Neolithic chambered long barrow in Randwick Wood. 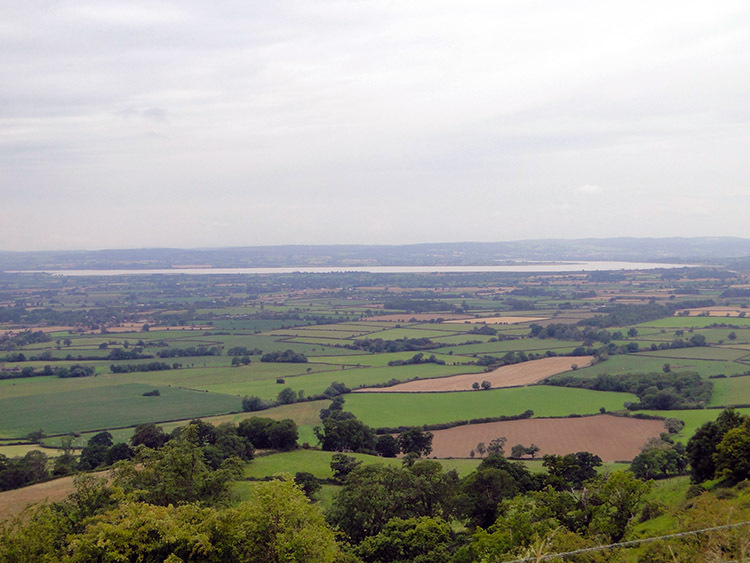 It told me the view I would enjoy by stating "spectacular views across the Severn Vale can be seen from these south-west facing spurs off the Cotswold scarp". The sign also mentioned the site was saved from development in the 1930's. Public objection to the plan was sufficient to thwart the builders and the area was instead put in the care of the National Trust. Phew. 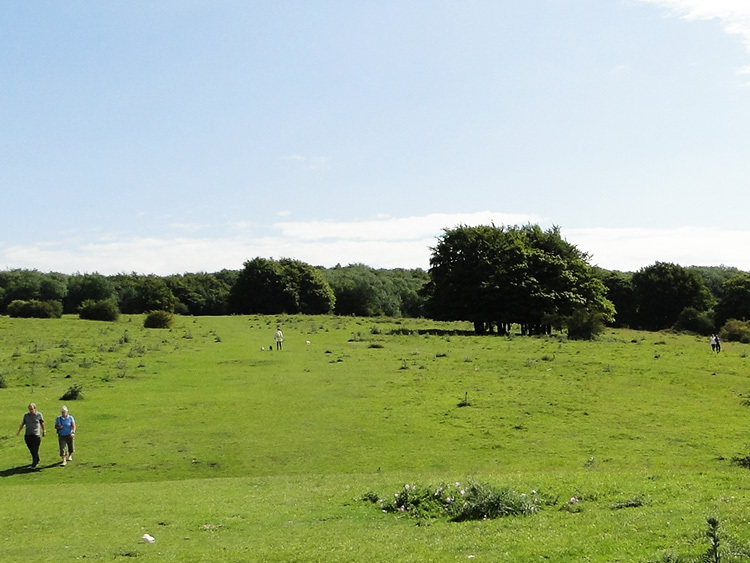 I wandered across the open grassland of Haresfield Hill which was criss-crossed with paths. I was not the only one doing so. It was just after 10.00am on a sunny Friday morning and there were quite a few other people walking across the hill. Some were couple, some solo dog walkers. All had one emotion in common. Enjoyment. I crossed to the site of Ring Hill Earthworks, a series of small humps and bumps I had just read about and then I walked to the Beacon point and looked across the Vale of Severn. I looked down to the city of Gloucester three miles north and looking westwards from the city I spotted the River Severn which would become a familiar sight on my continuing Cotswold Way journey. 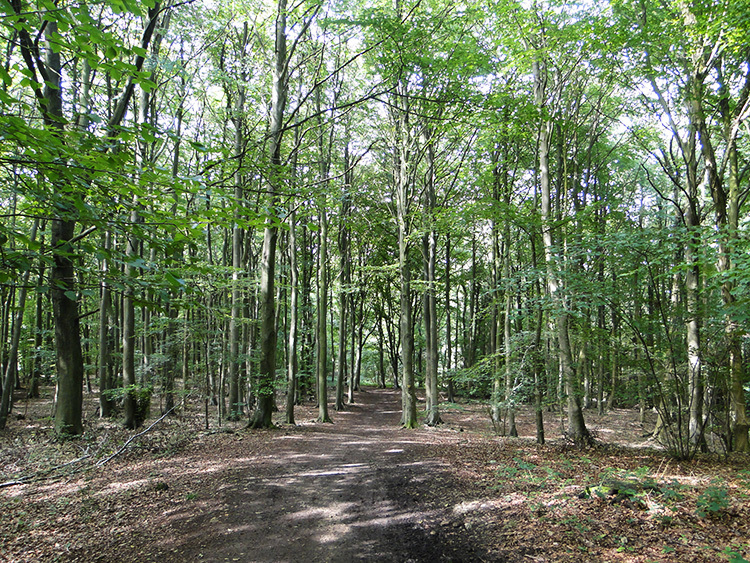 After my very enjoyable spell of wandering at looking out from the open spaces of sun-kissed Haresfield Beacon I continued on my way by taking a two mile long journey through Standish Wood. The woodland, much of it mixed beech with lovely lime green foliage which lit up in the sunshine was very pleasant to be amidst. Despite it being late July there was still some birdsong to accompany me through the wood, not the thrill and trill of early Spring when the Birds were most active in breeding and bringing up families. Now it was birdsong of relaxed contentment. 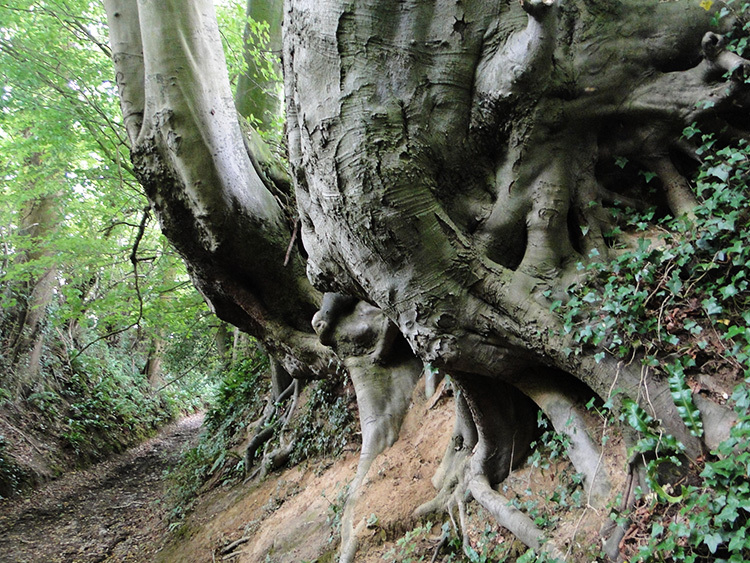 As I walked through the wood further I imagined past as Standish Wood has a wealth of archaeological features including long and round barrows, a hill fort and cross dyke; historical monuments over 3,000 years old. I did not divert to search for them though, I knew I would see similar examples without deviating later. Towards the end of my journey through the wood I met a lady walking her dog. We walked a little way together and chatted. I could not believe it when she said she was born and bred in Harrogate, my home town! She went on to tell me she returned once or twice a year to see her father in nearby Wetherby. It was a lovely chance meeting and before we parted company she told me about my next stage of the walk and a few things to look out for. I had walked into Standish Wood while it was sunny and I emerged from Standish Wood into a cloud filled sky. I had seen it coming when looking out west from Haresfield Beacon. It was high cloud though and not rain bearing so I had no need to think about preparing the wet gear. And while the sun had hidden behind the cloud it remained very warm and sultry. It was also getting towards midday as I walked down from near the village of Randwick across fields to Maiden Hill and downhill further to cross the Frome valley in a semi rural gap between Stonehouse to the west and Stroud to the east. After descending through the fields I crossed by a bridge over the Golden Valley Railway Line which links Swindon to Cheltenham Spa. Then I crossed the B4008 road near to a bridge with a emblem on it worded "Bold and Loyal". It was a bridge linking parts of Wycliffe College in Stonehouse. After rail and road I came to the base of the Frome Valley where I crossed over a canal and the river almost simultaneously. 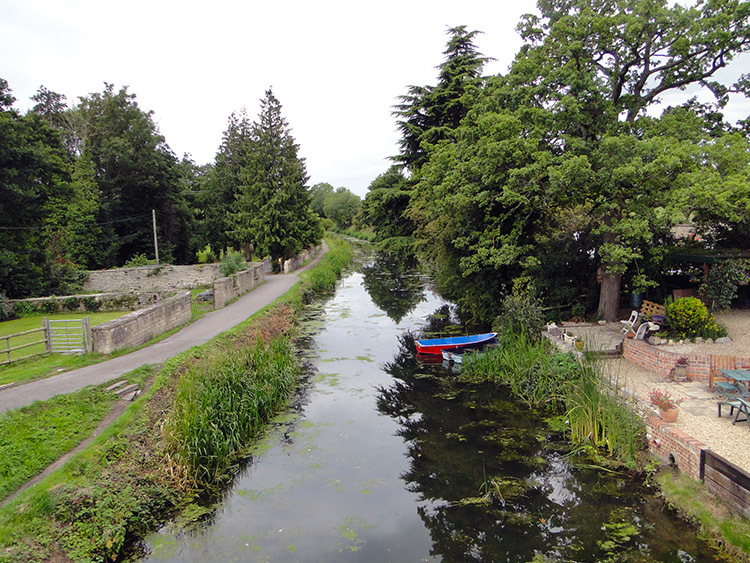 The artificial waterway was the disused Stroudwater Canal which linked stroud to the Severn Estuary. It was initially a very prosperous canal with coal being the main business commodity. Now it is manged by the Cotswold Canals Trust and as with all canals in Great Britain its overriding purpose is one of amenity and leisure. From the canal I crossed the busy A419 carefully, there are no pedestrian crossings or footbridges to help. Once safely across I followed the Cotswold Way by roadside past a large electricity sub station and Stanley Mills before cutting off the road to the left and following a path edging fields near to the village of Kings Stanley. I detoured to a path on my right and walked into the village centre in the hope of finding a convenience store. My quest was successful and when catered with soft drink, sandwich and chocolate bar I sat down on grass next to the village war memorial and enjoyed my lunch. While doing so I looked southwards up to Pen Hill. The hill was my next target and I needed the lunch to refuel me for the climb. After my lunch in Kings Stanley I continued on my way by rejoining the Cotswold Way Path which led me uphill to the neighbouring village of Middleyard. The lanes were lushly furnished with high leafy hedges. Flies irritated me as I climbed on the lanes. I needed to get up to the crest of the hill and into clean air which would blow the little bleeders away. I swished and swashed at the flies as well as covering my head with my facecloth all the way up. Midges had annoyed me in Scotland and the north of England and now the Flies had taken up their task of being the major irritation to my walking, especially when I was in closed confined lanes. Eventually I got above the line of the insect squadrons at the top of Pen Hill and spent the next half hour walking through Stanley Wood which covered the high ridge top. Now managed by the Woodland Trust the origins of Stanley Wood can be traced back to the Domesday Book but what I discovered on the other side of the wood was much older. I reached Nympsfield Long Barrow, a Neolithic burial site dating back to around 2,800BC which was a very long time before the Domesday Book. From Nympsfield Long Barrow I continued along the top line of the Cotswold scarp to reach Coaley Peak. Trees and shrubs which had covered the top of the ridge were gone now, the area was wide up and the view westwards was immense. A picture board pointed out what I was looking out to. 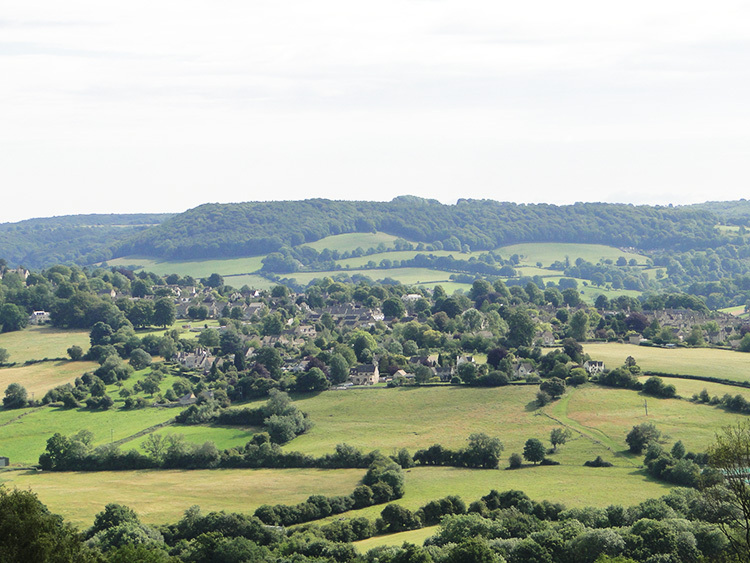 From left to right they were Downham Hill, Tyndale Monument, Cam Long Down, Dursley, Cam and Stinchcombe Hill, all of which I was heading towards. Continuing along the line I could see Tintern Abbey, The Blorenge and Sugar Loaf in the Brecon Beacons and Hay Buff, 41 miles distant in the Black Mountains. Despite the cloud which was staying for the early afternoon the distant views were good and I could see the lines of those distant hills and mountains if not quite the definition. Crossing over Coaley Peak to neighbouring Frocester Hill I also looked upwards as Gliders filled the sky. They flew overhead silently, enjoying the thermals of rising warm air provided by the Cotswolds Hills. Quite a few people who had parked their cars up from the nearby Dursley to Stroud Road enjoyed the air show with me. It was so good a time on Frocester Hill that I stopped me walk, sat down, took off my boots and socks and laid down on the grass watching the Gliders and looking across the Severn Valley at the view for a good half hour. 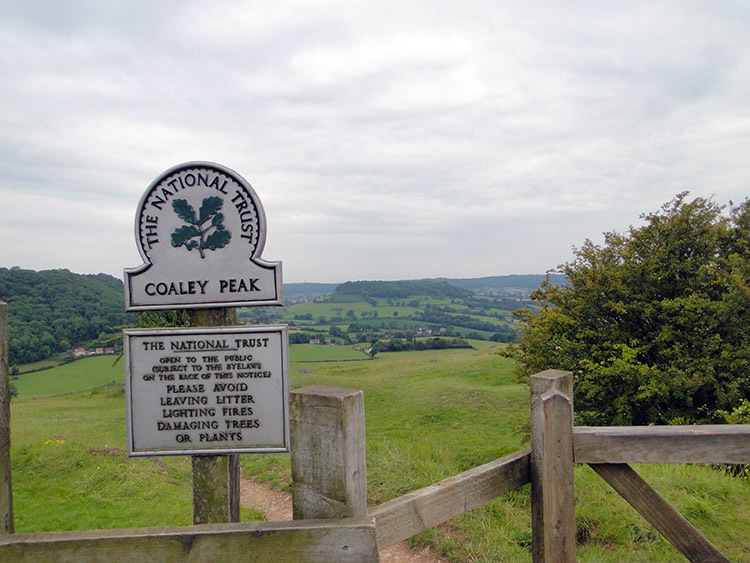 I enjoyed such a magic unforgettable time at Coaley Peak and on Frocester Hill. Memorable. Back on my way the Cotswold Way dipped to halfway down the escarpment by means of a Holloway footpath in the dense cover of Coaley Woods. 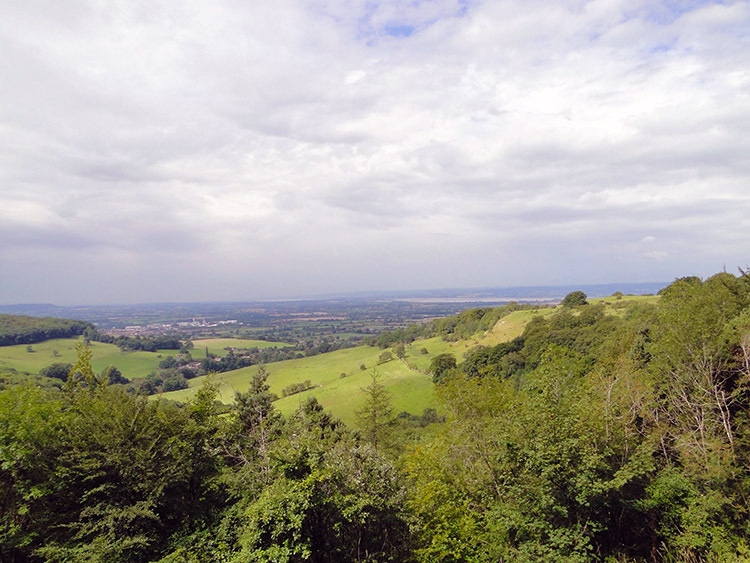 Above me was Crawley Hill which I climbed back up to for just a moment as if the Cotswold Way path was intentionally going up and down the escarpment as an army drill exercise. 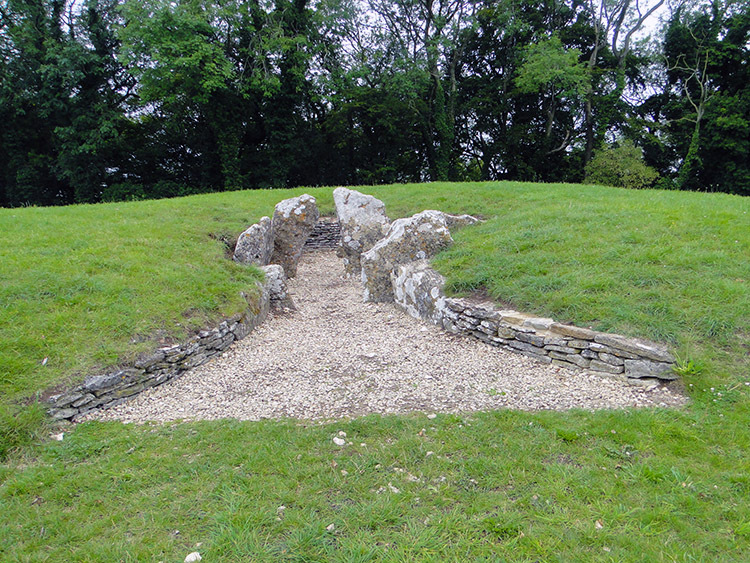 Had it stayed on a level at the top of the ridge and crossed Crawley Road I would have visited Uley Long Barrow, alternatively known as Hetty Pegler's Tump. Like Nympsfield Long Barrow which I had visited just a while back on the self same ridge line it is another Neolithic Burial Site. At the roadside on Crawley Hill an old milepost had showed me Dursley was four miles away. I had slightly less to go, about three miles in a straighter line. The first part was downhill which took me from a height of 220 metres to one of 120 metres at Hodgecombe Farm. After the farm I had the 100 metres lost to regain by climbing Cam Long Down which loomed large across a field straight ahead of me. As I crossed the field to climb up the hill a chap crossed the field walking towards me. He had just come down the hill. We passed dead centre of the field with a "good afternoon" courtesy afforded from each of us. Then I made my measured climb up to the top of the hill. 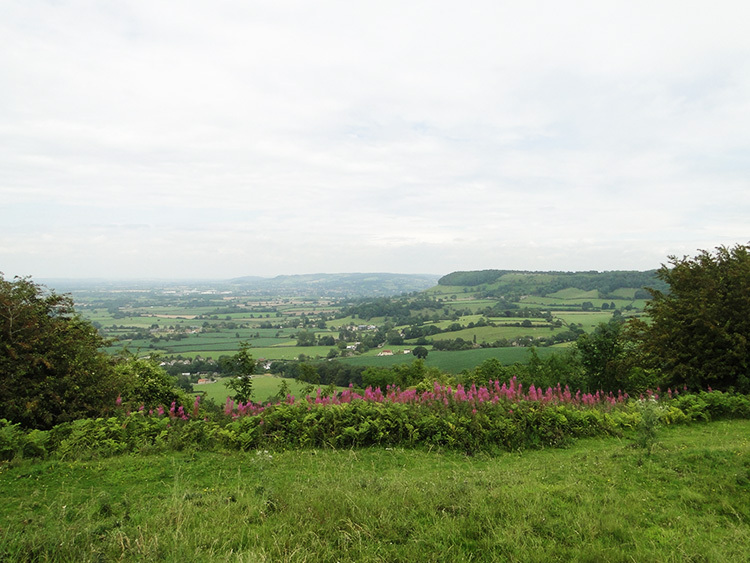 I had noticed that most of the views on the Cotswold Hills I had enjoyed so far were mainly to the west. The odd one looked east as well as west such as the one from Dover's Hill near Chipping Campden at the very start of the Cotswold Way. Yet it had been the exception rather than the rule. Today for example both Haresfield Beacon and Coaley Peak had offered only a west facing view. Cam Long Down is different though. It and the smaller linked hump of Peaked Down are isolated from the main Cotswold Hills scarp line. Thus it looks out all ways. North, west, south and east. Turning north I looked across to Haresfield Beacon where I had been earlier in the morning and swinging east I looked along the ridge line I had followed from Pen Hill to Frocester Hill. 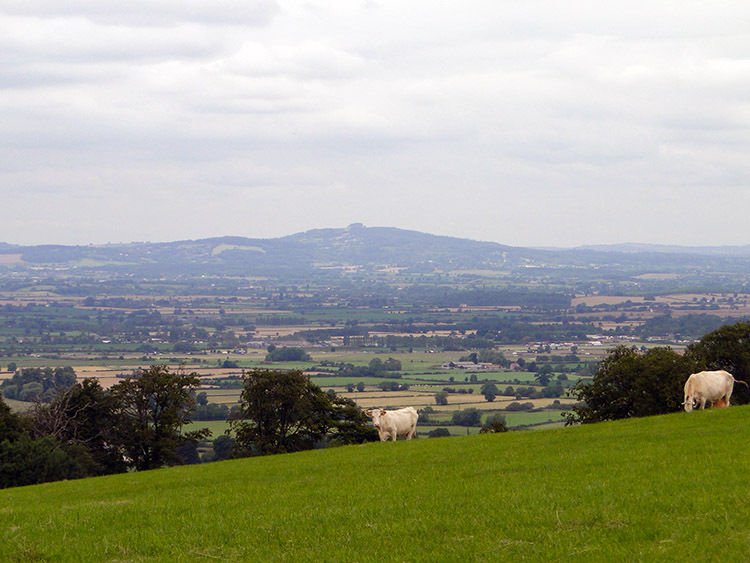 I also looked south across the Dursley gap to the Tyndale Monument I would be visiting tomorrow. And I looked west to the now familiar view cross to the River Severn and to South Wales. I was going to climb Peaked Down but a group of youngsters had beaten me to it. 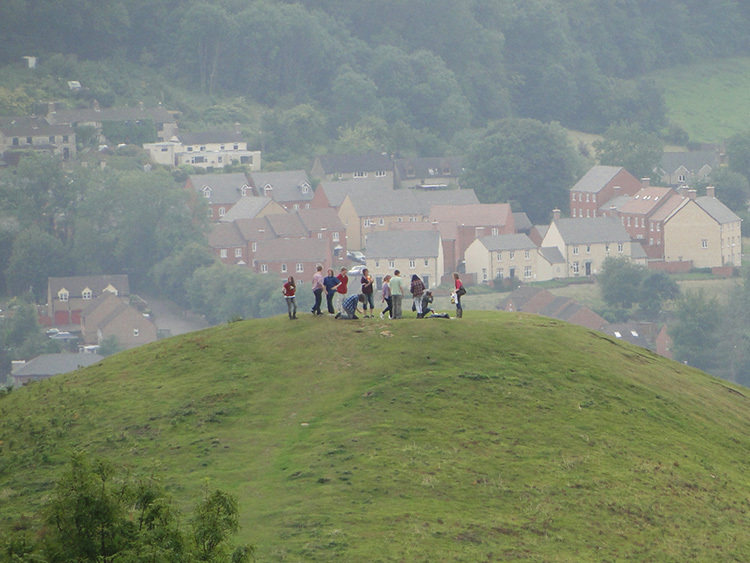 They were enjoying their time of thrilling views across to the hills and also that looking down on Dursley and Cam. I left them to enjoy it as much as they wanted to while I followed the Cotswold Way down from Cam Long Down to follow lanes and cross a few fields which led me into Dursley. The clouds began to part as I arrived in the pretty Cotswolds market town. I stayed at a lovely home in Dursley overnight and I had a very convivial evening dining and drinking in the Old Spot Inn to end what was pretty much a perfect day.